Why An App With Us? Whatever your business type, a mobile app can help you stay connected with your customers, promote your services, improve perception of your brand, enhance your communications – and, basically, increase your sales and revenues. Hove Digital provides you with mobile apps for both Android and Apple devices with a cloud-based platform that gives you full control to update your content 24/7, send push notifications, view and respond to your customers’ actions with advanced CRM functionality. Our progressive web apps & native apps also offer features that can be customised and adapted to suit every business need, such as shopping, secure messaging, custom forms, geo directory, video and image gallery, food ordering, in-line html browsers, social media integration and loyalty programs – all at a fraction of the cost you would normally expect from such custom app development. Whether working independently or in close collaboration, our focus is to deliver for you a cost effective, tailored end-to-end solution. 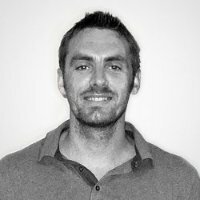 Dale is the founder of Hove Digital and oversees the day-to-day operations. “My career started in central London working for production companies in broadcast media. After moving to Brighton, to settle by the sea, I developed broad based experience in both the technical and commercial aspects of the digital media business, in particular: mobile apps, broadcast video, web design, new start-ups, digital marketing, business development.